Shower chances and the strong easterly breeze will take a break Wednesday, leading to an overall better weather pattern. 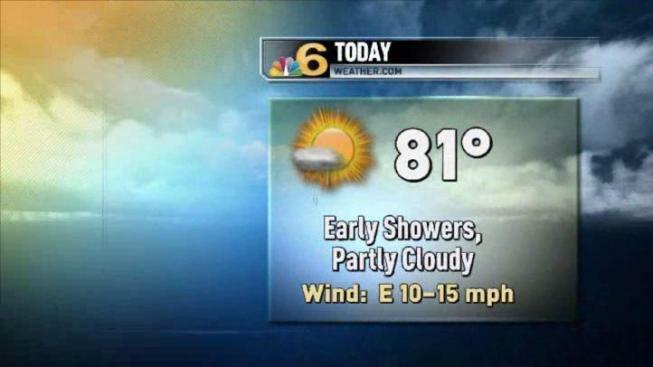 After a brief shower chance early this morning, expect afternoon sunshine and highs around 81. Overnight showers are possible with temperatures dropping only to 72 and rebounding to 80 on Thursday with isolated showers returning to the forecast. The good news is that, after Thursday, showers exit the forecast and we’ve got a sun-filled pattern in the cards for the upcoming weekend.